I believe 1035 Exchanges are one of the best kept secrets offering consumers enormous opportunities to plan for the very real risk of one day needing long-term care services. That is why the American Association for Long-Term Care Insurance has launched a consumer awareness effort. There are millions of individuals with non-qualified annuities and countless older individuals who purchased life insurance that they may no longer have a need for. We encourage all insurance agents and financial advisoers to learn more about how 1035 Exchanges work. I believe when you see the significant planning benefits and tax advantages you too will become a believer. And so will your clients! Speak to your General Agency or your firm to learn more about the various companies that offer Asset-Based or Linked-Benefit Long-Term Care Insurance policies. We will share your information with one or more leading distributors who focus on supporting agents selling Linked Benefit Long-Term Care Solutions. 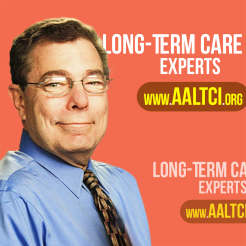 The American Association for Long-Term Care Insurance advocates for the importance of planning for the real risk of needing long-term care. We support insurance agents and financial professionals who market LTC solutions. Information on our website is provided for overview and informational purposes only and is not intended as tax, legal, fiduciary or investment advice.